Image: Chagall, Marc, 1887-1985. Le Cantique des cantiques III (detail), . "Be Love," Sermon Seeds, Kathryn Matthews, UCC, 2018. The Adventurous Lectionary, Living a Holy Adventure, Bruce Epperly, 2018. The Timelessness of James, Jeanyne Slettom, Faith in Process, 2018. "Ethical Hermeneutics and Hermeneutical Ethics,'" D Mark Davis, raw translation and exegesis/questions, Left Behind and Loving It, 2012. Rumors, for August 30, 2009, Ralph Milton, "Sermon helps for preachers with a sense of humor." Jesus Now, Proper 17B. Lectionary, study and worship resources from Faith Futures Jesus Then & Now. Searching the Heart, Dear Working Preacher, Karoline Lewis, Working Preacher, 2018. Sermon Brainwave, Working Preacher Podcast, 2018. Living by the Word, LaDonna Sanders Nkosi, The Christian Century, 2018. "Vain Worship," Debie Thomas, Journey with Jesus, 2018. "Orphans and Widows in Their Distress...Seeing the Invisible," Dancing with the Word, Janet Hunt, 2018. "What about the Rules?" Modern Metanoia, 2018. "It's Not About the Cake, Amy Lindeman Allen, Political Theology, 2018. "Tradition!" David Lose, ...in the Meantime, 2015. "Heart Tellings," Karoline Lewis, Dear Working Preacher, 2015. "Help End Hunger: It's Within Your Reach," Greg Carey, ON Scripture, 2015. Discussion Questions. Video: God's Little Acre: Feeding the Hungry. "True Religion," Sermon Notes for Pentecost 14, Proper 17, Porter Taylor, The Liturgical Theologian, 2015. "Jesus and James: 'Vain Religion' and 'True Religion,'" Dan Clendenin, 2015. 2012. 2009. "The Politics of Extraordiinary Ordinariness," Alastair Roberts, Political Theology Today, 2015. "Inside and Out," Lynn Miller, Art & Faith Matters, celebrating our creative and living God by generating art and architecture resources for congregations and individuals. Art and Faith Matters facebook page contains additional resources. "Let's Hear it for Dirty Disciples!" Sharron R. Blezard, Stewardship of Life, 2015. "Love and Righteousness," Eric Smith, LECTIO, 2015. "On Hand Washing, Shells, and Our Oh So Human Traditions," Janet H. Hunt, Dancing with the Word, 2015. "Mean for Jesus," Bruce Maples, 2015. "Beloved," Journey to Penuel, 2015. "From within the Human Heart," Suzanne Guthrie, At the Edge of the Enclosure, 2015. "Form and Function," David Sellery, 2015. "Defiled by Traditions?" Bob Cornwall, Ponderings on a Faith Journey, 2015. "Inside and Out," Kyle Childress, Ekklesia Project, 2015. "Playing Church," Glenn Monson, Law & Gospel Everywhere, 2015. "Fatback Stake House?" Thomas Beam, 2015. Rise Up, My Love, My Fair One, Scott Barton lectionary poetry, 2015. "Ordinary Saints," David Lose, Working Preacher, 2012. "Lip Service - But Where Is the Heart?" Dirk G. Lange, ON Scripture, Odyssey Networks, 2012. "Heart Trouble?" Alyce McKenzie, Edgy Exegesis, Patheos, 2012. "What Matters and What Doesn't," Janet Hunt, Dancing with the Word, 2012. "Living the Life, Not the Lie," Sharron R Blezard, Stewardship of Life, 2012. "The Heart of the Matter," Heather Carlson, Ekklesia Project, 2012. "A Cleansing Ritual for Preachers," Peter Woods, I Am Listening, 2012. "Catch 22," Peter Lockhart, a different heresy, 2012. Lectionary Notes, Pentecost 14, Beth Quick, 2012. 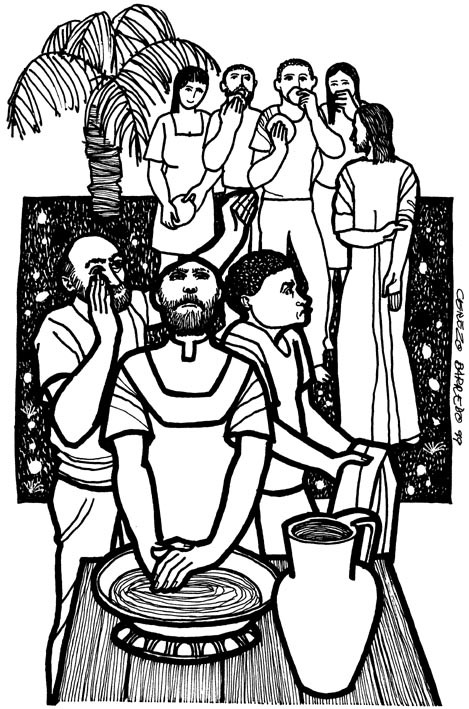 Liberal Lectionary Resources, Pentecost 14, Mary Lautensleger, Bryan Jackson, 2012. "Mind. Body. 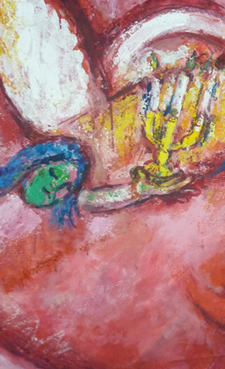 Spirit," Miriam's Tambourine, Memphis Theological Seminary, 2012. "Cool It," Rick Morley, 2012. Sacredise, Commentary and Lectionary Worship Resources, John van de Laar, 2012. "Cornbread Wars," Melissa Bane Servier, Contemplative Viewfinder, 2012. "Rules, Regulations, and the Christian Life," Bob Cornwall, Ponderings on a Faith Journey, 2012. "It's All About the Heart," PreacherRhetorica, 2012. "Sing Happy Birthday Twice!" Larry Patten, 2012. "Preparing for the Gift," Ragan Sutterfield, The Ekklesia Project, 2009. "Doers of the Word," Noel Schoonmaker, Day 1, 2018. Scandal Alert!by Judy Kincaid. A Sermon for Every Sunday. Video sermons from America’s best preachers for every Sunday of the Liturgical Year. "Majoring in the Minors," by Will Willimon. A Sermon for Every Sunday. Video sermons from America’s best preachers for every Sunday of the Liturgical Year. "The Pharisees," Weekly Sermon/Illustration, Fredrick Buechner. "Speaking the Truth in Love," Richard Goeres, Day 1, 2015. "Cleanliness or Godliness," the Rev. Reggie Weaver, Day 1, 2012. "Looking in the Mirror," the Rev. Martha Sterne, Day 1, 2009. "God Gave Us Birth," study guide for adults, Robert B. Kruschwitz, (other resources at) "The Letter of James," Christian Reflection, The Center for Christian Ethics at Baylor University, 2012. Focus article: "James's Amazing Grace Gumbo," by Bert Montgomery. "Seeing Ourselves in the Mirror of the Word," study guide for adults, Robert B. Kruschwitz, (other resources at) "The Letter of James," Christian Reflection, The Center for Christian Ethics at Baylor University, 2012. Focus article: "Seeing Ourselves in the Mirror of the Word," by C. Stephen Evans. "The Wisdom of James," study guide, Robert B. Kruschwitz, (other resources at) "Where Wisdom is Found," Christian Reflection, The Center for Christian Ethics at Baylor University, 2009. (James 1:1-5, 17-27) Focus article, "The Christian Way of Knowing," Robert W. Wall. LCA Worship Planning Page, Pentecost 14, 2015, "Everything lay-readers need to prepare worship." Ministry Matters, August 30, 2015. Worship Resources, 2015, Rev. Mindi, Rev-o-lution. Mustard Seeds, "New Beginnings," Proper 12, 2012. A lectionary-based ideas resource for leaders of contemporary worship, Ann Scull, Gippsland, Australia. Lectionary Liturgies, Ordinary 22, 2015, Thom M. Shuman, Presbyterian Church (U.S.A.). Lector's Notes, Ordinary 22, Gregory Warnusz, Saint Jerome Parish, Bellefontaine Neighbors, MO. Notes and commentary for those reading this week's lectionary texts to the congregation. The Timeless Psalms: Psalm 45:1-2, 6-9, (Pentecost 14B), Joan Stott, prayers and meditations based on lectionary Psalms, 2012. Weekly Evangelectionary, Mick Bradley, Evangelism Connections, 2012. "Goodness," resources and reflections on the liturgy, Rev. Bosco Peters, 2012. Prayers of the People inspired by the epistle of James, Rick Morley, 2012. The Timeless Psalms: Psalm 1, Joan Stott, prayers and meditations based on lectionary Psalms, 2012. Collect and reflection for Ordinary 22, Bosco Peters, 2015. HermanoLeón Clipart, Ordinary 22B. Free clipart, backgrounds, slides, etc. Clip Art Images: Mark 7:1-23, Misioneros Del Sagrado Corazón en el Perú. "Come Away," Song of Songs remix, David Coleman, YouTube, 2012. The Timeless Psalms, Psalm 15, Joan Stott, prayers, and meditations, 2015. Hand Soap / Dish Soap, Dollar Store Children's Sermons, 2015. "The Well-Loved Traditions," a hymn by Carolyn Winfrey Gillette, lifting up Jesus' teaching on traditions and our need to focus on what is inside rather than outward appearances. Tune: ST. DENIO 11. 11. 11. 11 ("Immortal, Invisible, God Only Wise"). "Blameless," Brenton Prigge, 8.7.8.7.D, New Hymn. Hymns of the Spirit Three, Proper 17B, Richard E. Hurst, Universalist National Memorial Church. Psalm 45, Nadia Bolz-Weber, The Emergent Psalter, 2009. Hymn and Song Suggestions, Proper 17B, 2015, annotated suggestions from Natalie Sims, Singing from the Lectionary. Hymn and Song Suggestions, Refugee and Migrant Sunday, 2009, annotated suggestions from Natalie Sims, Singing from the Lectionary. Lectionary Hymns, Ordinary 22B, National Association of Pastoral Musicians. Choral Anthem Project, Ordinary 22B, National Association of Pastoral Musicians. Sing for Joy, Lectionary 22, 2009. Choral reflections on this week's lectionary readings, St. Olaf College. Worshiping with Children, Proper 17B, 2015. Including children in the congregation's worship, using the Revised Common Lectionary, Carolyn C. Brown, 2012. "Acting Just Like Children," Frances Woodruff, On the Chancel Steps, 2012. Ministry Matters, September 2, 2012. Story for Children's Worship and Family Activity, Ordinary 22, at word-sunday.com: A Catholic Resource for the Lectionary by Larry Broding.